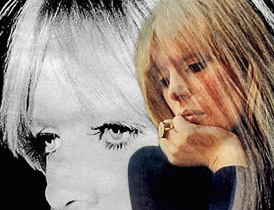 Screening of Nico 1988 at the Sauvenière Cinema followed by a concert at Reflektor where the JauneOrange squad will cover Nico’s album “Chelsea Girl”. Tarantula, JauneOrange and Cinemien team up with Les Grignoux and the Reflektor for an evening dedicated to Nico, the legendary enigmatic singer. ► THE FILM (8:00 PM): An intense, musical and unadorned dive in the tumultuous last years of Christa Päffgen, better known as Nico. ► THE MUSIC (9:45 pm): JauneOrange immerses you in the musical universe of Nico by proposing a reappropriation of the mythical album “Chelsea Girl”. Members of Condore, Dan San, Gaëtan Streel, Leaf House, Pale Gray, Piano Club, Roscoe, and The Feather will perform on stage to invoke the singer’s powerful and atypical aura.